Housing discrimination – isn’t that illegal? Luckily it is for humans, but unfortunately landlords often judge canines on looks alone. “I had one guy that wouldn’t even let me look at his house because of my [pit bull] Jodi being in the car,” comments Jenny Sanders of Friendswood, Texas. Stories like these flooded into my inbox when I posted a query on Pit Bull Rescue Central’s Facebook page, asking dog lovers from across the country to share their experiences as renters. From New York to California and everywhere in between, respondents had one thing in common: Breed-based discrimination made their search for rentals a long and difficult task. Of course, this isn’t just a pit bull problem. Commercial apartment complexes often have long lists of other breeds they won’t accept. The good news is that after much persistence, the majority of those interviewed did eventually find a place to live. However, many reported having to pay more in rent or deposits than they’d hoped, while others had to settle for a substandard rental or one outside their preferred area. “You can’t be picky if you own this breed and are looking to rent,” says Laura Berkeley of Oceanside, Calif.
“I have had to move to areas outside of the city or pay extra in pet deposits in order to keep my dogs with me,” Hutchinson concurs. By way of advice, many renters suggest going through an individual property owner versus a large apartment complex. Although some of those interviewed literally faced homelessness due to housing discrimination, most were unwilling to break up their families. All these tales of discrimination also lead to the larger question: How can we change the cycle of breed prejudice in the housing market? Although it’s not a quick fix, education is key. Some landlords are open to expanding their knowledge beyond the media hype they’ve heard. Others may be willing to meet an applicant’s dog, and getting to know a few well-behaved representatives of the breed could make all the difference for them. And there’s something in it for them, too. Landlords willing to consider responsible owners and their well-behaved large dogs gain access to a whole new pool of eager renters. Case in point: A relative of mine recently found out the value of non-discriminatory practices first hand. She needed to rent her townhouse out quickly, but with 1,400 listings on the local Craigslist, how could she make her rental stand out? I suggested she advertise her willingness to consider large dogs of any breed. Sure enough, a Marine contacted her almost immediately. He was looking for a rental for himself, his wife, their 1-year-old daughter and their American Staffordshire terrier. They couldn’t live on base due to the breed ban and hadn’t had any luck finding a decent rental. Their dog had been in boarding for weeks. They had excellent credit and turned out to be the perfect renters. When he was deployed, the house and yard were left in pristine condition, and my relative refunded their full pet and security deposit. •	Begin your search early, two to three months before you need to move. •	Post a housing wanted ad on Craigslist and/or similar sites. Be up front about the breed of your pet, and tell potential landlords why you’d make good tenants. •	Contact local bully breed rescue groups and/or post on their Facebook pages for local recommendations for pit-friendly housing. •	Train your dog well, and offer to let prospective landlords meet your dog (have any training certificates in hand). •	Offer to obtain rental or liability insurance, or pay an additional pet deposit. •	Don’t lie about your dog’s breed. If you do so, your landlord may evict you with short notice, leaving you without the proper time to find another rental. •	Lastly, when you do find a rental, be a responsible tenant and pet owner to help change opinions one landlord at a time! •	If you’re buying, make sure the city and county (and the homeowners’ association, if applicable), do not have breed restrictions. •	For more rental and housing tips visit: www.pbrsd.com/resources/housing.htm and www.badrap.org/rescue/renting_new.pdf. Note: State or local breed laws may impact coverage in certain areas. Also, while these insurance companies don’t discriminate based on breed, most will exclude dogs with histories of past incidences. Thank you for the informative article. As you said, it’s important for potential tenants to “sell” themselves and their dogs. It’s so sad that landlords won’t consider a dog’s personality when renting, but there are places out there…it just takes time and effort. Thanks for your comments Robyn, and yes it does take time and effort to find pit bull friendly housing. Hopefully one day, this won’t be the case. I live in New York City in a building with no breed or size restrictions with my three dogs – a 15lb spaniel, a 30lb mutt, and a 55lb pit bull. It’s hard to find but don’t let anyone tell you it can’t be done. If anyone is looking in NYC, drop me a line at [email protected] and I can tell you about my building. I’m also a landlord myself (I own a house in a distant city) and I’m proud to offer animal-friendly housing. Thanks so much for sharing this John and offering your help to others looking to find good housing for them and their pit bulls. Yay John! If all of the insurance companies would accept these breeds that they have deemed “aggressive” it would not be such a problem. Land lords could not use insurance as an excuse and would could take a huge step forward. I think we need to attack the insurance companies with education. Yes there are a few companies that do not discriminate against any breed of dog, but the many more that do are the ones that our LL’s are going with. Why is that? I have called countless LL’s, and countless insurance companies. The companies that do cover our babies charge more for the dogs. I am thrilled that they do allow these breeds, don’t get me wrong, but there are other breeds that are more prone to bite. Those owners don’t have to pay more. I feel that unless a dog has a history of aggression, they should not be judged and our pockets drained. Did you know that the domestic house cat is the most aggressive domestic pet? Nobody states in their lease or insurance policy “no aggressive cats”. What is this world coming to, that we can’t live where we can afford because one person one time said that a dog that “looked” like a “pit bull” bit them. There are many breeds that “look” like a pit bull, but they in fact are not. Thanks for reading the article! It’s my understanding that the insurance companies listed above do not ask about breed or charge more for certain breeds (provided the dog has no past incidences). I think many landlords use insurance as an excuse to say no to pit bulls even though there are a lot of insurance options out there. USAA does not discriminate, either. They’ll accept coverage for any dog that has not bitten a person. It took me a good couple of months,and the help of an agiencey I hired,to find a place. However now,I might be faced with the same issue. The old staff was recently replaced with new ones,and they pretty much have told me, I am not welcome here anymore with my dogs. I am not sure where I will go. I have till the end of this month to find a place,if they do indeed to kick me out after my lease is up. 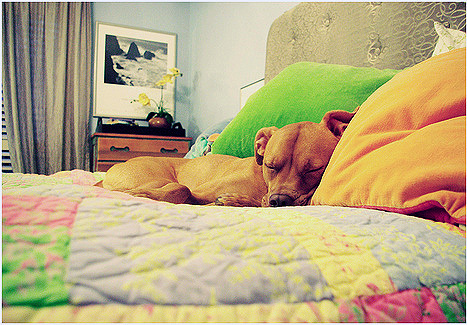 This is not fair,cause I paid all my deposits,and Bruno and my new Pitty Beia,have done nothing wrong. The majority of the people in this complex,where scared of Bruno at first,but as soon as they saw how big of a baby he was,they all have nothing but kind words and pets for him. Most people only know pitbulls,by stories they hear on the news,they have never actual met one before. So they don;t know what they’re missing,until they meet one in the flesh! Thanks Katie, I hope you can find some new housing quick! Readers, let’s help out Katie! Sometimes ignorance to the breed really is amazing. When we would tell people we had a pit bull, it was instant discrimination. When we said we had an American Staffordshire – they were ok with it. We rented in a community that has a ban on pit bulls. All the paperwork said American Staff on it. They conducted an “interview” with our baby and the office manager commented “He almost looks like a pit bull, but he’s so friendly”. Oye vey! Haha Clarissa, thanks for sharing your story. I suppose many do not even know what an American Staffordshire terrier is. We need to change perceptions of pit bulls so this type of ignorance will be a thing of the past. We’re going through this right now, except we don’t have a pit bull yet. We want to rescue one after we move. We found a building that is very pet-friendly and there are supposedly no breed restrictions, but the landlord did say that if another tenant complained we could be asked to get rid of our dog (which I REFUSE to do) or leave. I didn’t press the issue since we hadn’t even signed the lease yet, but I’m unsure whether that means our dog would actually have to do something wrong (like bark too much, or show aggression to another tenant) in order to be asked to leave, or if another tenant merely complaining that they don’t like pit bulls would be enough. If the latter is the case, I’m not sure I feel comfortable adopting a pit bull type dog until we own a home, which makes me deeply sad. Any advice or input is very greatly appreciated! Thanks for your comments TC, I think the biggest hurdle is to find out what exactly a complaint would have to consist of. 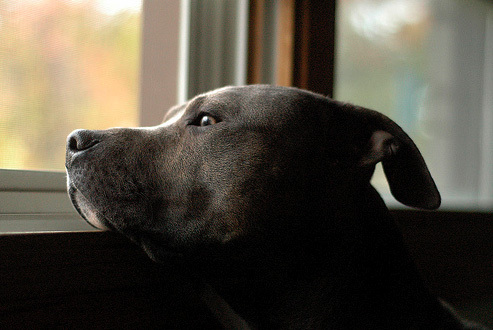 It’s heartbreaking to think that you may not adopt a pit bull because of your living situation. Perhaps there are other housing options where you wouldn’t have to worry about leaving if there was a complaint, simply because the dog is a pit bull. Readers? Any suggestions for TC? It’s difficult on the Landlord side too. I have 2 rescue pits and when a potential roommate finds out what kind of dogs I have, they run for the hills! My dogs are so well behaved, if they would just come and look at them, they would change their mind!! I am disabled and had my 1st dog prior to my car accident. I’ve trained her and she is now my certified Service Animal. That should tell you something right there, BUT NO!!! Some people are so closed minded!! On the other hand, I will have my dog out on duty and MANY random people will come up to me and say that Pits are the BEST animals ever! side note: I know the objective is to change peoples minds about pits, but if you are having a difficult time with finding housing, something you may want to look into. A girlfriend of mine works at a vet office and told me about this. You just need to provide documentation (on rabies tag paperwork) stating the breed. She (vet assistant) would change the breed on the paperwork. VERY EASY TO DO!!! Change to a mix breed of any kind and the apartments won’t have a problem with it. YES, I agree that we should educate people about the breed, but until their eyes are open, we gotta do what we gotta do to keep our pups with us!! Thanks for sharing, and it’s sad that there are so many close-minded people out there concerning pit bulls. The bigger question may be if many of these dogs in questions are actually pit bull mixes, read our article: Misjudging Mixed Breeds: http://stubbydog.org/misjudging-mixed-breeds. It’s very eye opening. My husband and I just moved to California and are happy to say we rented our Florida home to a mom and daughter with 3 pit bulls. We have known our tenants for a while and have spent time with all three pitties:). We have had no problems what so ever. In fact we feel our house is better protected lol. Thanks for sharing Renay, it’s great that you are finding the positive aspects of renting to pit bull owners. I actually was just researching this issue for myself – I’m new to San Diego and need to find a place to rent with my bully, Muzzy. One of the websites I found to be of a lot of help with insurance issues is Save A Bull – <a href="http://saveabull.com/2008/insurance-for-pit-bulls/&quot; Insurance for Pit Bulls. Another thing I saw on this site was preparing a “Doggie Resume”, which I think it is a GREAT idea!! I have contacted State Farm and Farmers and am waiting for quotes back! Thanks for the info Suzette, yes many people have suggested a doggie resume, which is a great idea. Good luck with your insurance companies, keep us posted! When I moved into a new apartment, I made up “resume” for my dog. I listed all the good qualities and accomplishments she had achieved. I also put a little picture of her on the resume. I think it totally convinced the landlord to consider my Malinois as an individual and not a “crazy shepherd.” My current place charges a pet rent…$50 in addition to my regular rent. I think that is ridiculous too. Thanks Kelly, that’s a great idea, a pet resume. I don’t have a pit bull, but I have a 50 pound mutt. These are excellent suggestions, all of them! We went through a landlord who owns a couple properties. He had a no pet clause but we really wanted the bottom floor of one of his duplexes (our friends lived upstairs). I managed to talk to him about how we’d be great tenants and responsible pet owners. It turned out his major concern was barking and noise complaints. It just took a little bit of talking to alleviate his fears. We’ve now been living here for 2 1/2 years and have had no complaints! One thing I’ve heard people talk about is a pet resume. I’ve made one up for Dahlia, which includes information about her, her background, that she’s microchipped. It includes all of the training we’ve done with her and has copies of her training certificates including her CGC one. We’re also going to get reference letters about her behavior from our current landlord, vet, groomer, and trainers to add to a portfolio showing that we’re responsible owners with a good dog. It’s FRUSTRATING the number of places that won’t consider larger dogs and even worse for people who have breeds that are banned. I hope that will end sometime! Thanks for sharing Michelle, you have many good suggestions to help people looking for housing. We, too, hope that this all ends soon. We bought an RV when we moved just to make sure we could keep our pibbles. We bought a house and found out that insurance was really hard to get for our dogs. We eventually found a home insurance carrier that would allow us to exclude our dogs from our policy. It is ridiculous that we had a six ft fence put in to protect our puppies from loose neighborhood dogs but just because of our dogs breed we had so much trouble finding a company to cover us we almost lost the deal on our house. Canine Good Citizen Certification doesn’t make a difference to insurance companies and that is just plain ignorance! When renting, I have provided a resume for my dogs showing good temperament in various situations (with children, other animals , etc). Reference letters from vets definitely help too. Thanks for sharing, our readers have given many useful tips in addition to this article that hopefully will help people trying to find housing with their pit bulls. Your devotion to your girls is admirable and we hope you find the right place for you and them soon. we need more landlords like you out there for sure.. where do i go to find landlords like you to allow my two very good pits and myself a home? Where can i go to find my two great pits and myself a new home.? Been looking online and cant find a thing. I wish there was a site that landlords created showing what they accept and didnt. even though they would probably all put no when it came to the pit question. or a site that someone has made showing pit accepting landlords… HELP ME PLEASE. 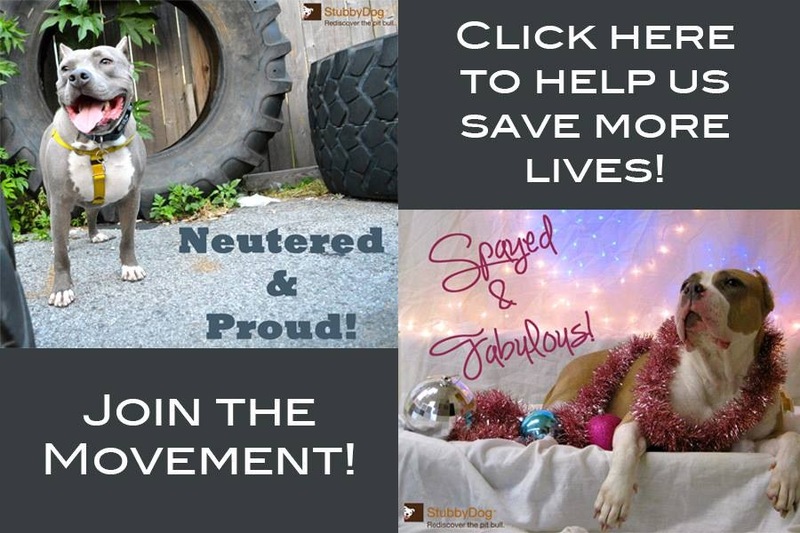 @dubdat Since we don’t know where you live, it’s a little difficult to help, but we offer tips in this article and perhaps you can contact a rescue group in your area that deals with pit bulls to help in your search for housing. Good luck! @palmuccim thank you so much! I’m sure many people would like your help. We would like to post it on our Facebook page, with your permission. @StubbyDog Feel free and hopefully I can accommodate! @palmuccim Have you had any luck getting your site started? I would also like to get something going. This sort of discrimination is ridiculous. I’ve been at my job four years, have an almost 800 credit score and because of my two rescued pit mixes I can’t find a place to live. Insane! I want to help! I couldn’t get on the site before, but I just managed to check it out and I am very impressed with what you are doing. If you have a chance could you pm me at [email protected]. I am doing an internship for a local paper and I am currently working on a story concerning this subject. I would really like to interview you if possible. Soon my family and i are relocating to the port st. lucie florida area. I have been looking for over a month and because of breed restrictions i can not find anywhere! We have a 2 yr. old 75lb. spayed american bulldog mix and a shar-pei. They go all quiet and akward when i mention my dog Sadie the bulldog. We have wireless fencing…would pay an extra pet deposit! We even have two prior rental references that we are responsible pet owners and have their vet. records. If it was just me and my dogs i would live in my car but I have 4 kids, so it might come to the point of looking for her another home….??? For now I will keep looking as I have a couple more months. i live in the orlando area, ive been looking forever, i just cannot find a single place, no one will take me. i have two weeks left in my search, and the only way ill have a roof over my head is if i give my baby up. 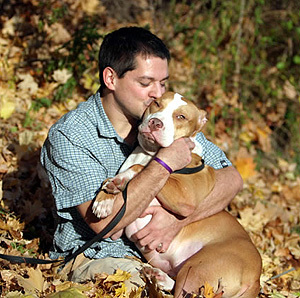 They are devoted to helping people find housing with pit bulls. I can’t seem to find a place that takes pit bulls. My lease is up in June and I don’t know what to do. It’s the owner not the breed that makes them bad! Just an FYI, GEICO also doesn’t breed discriminate for renters and homeowners insurance policies. @CherylLagow Thanks for the info! @aija14 We don’t think so, and we are sure there are so many people that feel the same way. I have a pitbull myself and my landlord waited til i signed the lease to say that i couldnt have my dog. I hate to give her up and i signed a 2 year lease with her. i dont know what to do. @mslisa5 We are sorry about that, we think it would be best to consult a lawyer about this. Best of luck. @mslisa5 What state are you in? Did you disclose that you had a pit bull prior to signing the lease? Have you tried talking to the landlord and offering to take out additional insurance at your expense to set their mind at ease? If you disclosed fully that you had a pit bull, and your landlord agreed to rent to you, then waited until after you signed the lease to tell you that you couldn’t have the dog AND refused to allow you to get out of the lease without penalty, then you may have a case for a lawsuit depending on your state landlord-tenant laws. @TimKozik Hi, My husband (Navy) and I are currently looking for a rental that will accept our well-behaved, trained, neutered pit bull in the VA Beach area. The hubs will be stationed in Little Creek and we’re hoping to move sep 17th. We have references for the dog. Unfortunately, Carolina is too far but maybe you know other bully breed friendly landlords in the VA area? That would be super helpful! If anyone has any suggestions or contacts we could try, please contact me at [email protected]! Thank you! @ReginaPlatzRupp @TimKozik You could try contacting http://www.dogsondeployment.org/, they may be able to help you as well. Good luck and keep us posted. We are finding it also almost impossible to find a rental in Massachusetts. Yes they passed a law not to discriminate but that doesn’t have anything to do with the insurance companies. Most landlords I have talked out say we have breed restrictions but I have come a cross a lot that says they wouldn’t have a problem with renting to any dog EXCEPT the fact insurance companies will cancel their house insurance. I have looked into it and the biggest problem here in Mass is the Insurance. I understand as home owners they have to follow the rules and protect their property but where does that mean for these poor pit bulls and their owners. I am still looking for a rental it is so frustrating HE is my son’s Best Buddy he is part of our family we have had him for 6 yrs so I hope something will come up soon because time is running if anyone has any resources I am willing to try anything! Ive been looking for a rental home or an apartment and everything is a no due to me naming my dog as a pit bull. Ive called more then 60 homes and all is a no. Ive been trying so hard for myself (lauren age 25 and boyfriend brad age 32, together for 6 years and of course our 2 year old, half blue / half red nose pit bull named Rally, 50lbs. Owned since 7 weeks old). This morning I wanted to give up, I found myself crying and so up set that we cant all live together. I looked down at Rally and my only thought was to give her away. I cried even harder and thought I could never let someone else own her, they would never love her like we would and the thought of her not being taken care of properly scared the hell out me. I mean…she sleeps under our covers in between us like a big baby. Makes me laugh just the thought of how much she is just like a child. Then this thought came into my mind, thinking back to 8am this morning I don’t know how I could ever of thought this but what if I just put her down? Say shes mean with other dogs and is too aggressive. They will believe me and with no problem do it. Then we can find a home. No more pit bull problems, right?! I went to face book and “liked” right away! Again, I will not give up! Thank you!